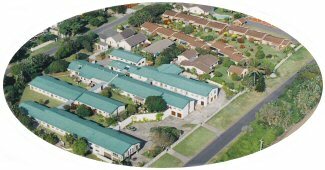 Alexandra Park is a registered home for the aged which is situated in tranquil surroundings in a suburb of Scottburgh which is two kilometres from the Scottburgh business centre. The Home has accommodation for 80 Senior Citizens including frail care facilities for 40 persons. Nursing for all residents is provided for 24 hours of the day. Accommodation consists mainly of single rooms and a few double rooms, all of which are furnished. Residents may, however, provide their own furniture. Bath and bed linen is provided and the monthly tariff includes the provision of three meals a day, morning and afternoon tea or coffee and the laundering of personal clothing. T.V. points are available in each room. The Home is an "open home" and residents may come and go as they wish provided that they inform the staff of their leaving the Home. A Chiropodist who is available once a month at a nominal fee. A well stocked selection of books in the Home's Library. Other books may be obtained from the Scottburgh Library if wanted. Church services which are conducted by different denominations each Sunday morning and Bible Studies on other days for those who are interested. Chair aerobics classes which are held weekly . Bingo which is played weekly and Video shows which are presented at least once a week. A Mobile Tuckshop which is open once a week. Transport which is provided three times per week to Scottburgh central. Frail R 15 500 these prices include 24 hour nuring services . In cases where the Government subsidy is granted to frail residents who have a gross monthly income of R2200.00 or less, this is deducted from the tariff. available at a more reasonable tariff, BUT no nursing is required for a secure daily living. A clinic is available on site if minor nursing eeeds are required BUT the Residents in the Independent Living Sector will have to pay for these services as needed according to the set clinic tariffs. Are the Family going away on holiday. Are you worried about where to leave gran and grandpa? Worry no more! Alex Park also offers safe and secure "Holiday Accommodation" for the elderly. Contact us on 039 9760133 during office hours.